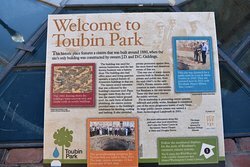 A great historical discovery to be enjoyed by Adults and Children and a nice little park area with benches and flowers. 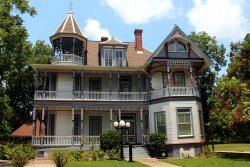 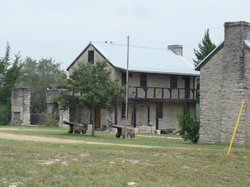 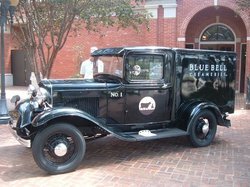 The city has loads of history, pre and post Civil War, a record of gunfights, the Great Brenham Fire, etc. 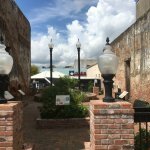 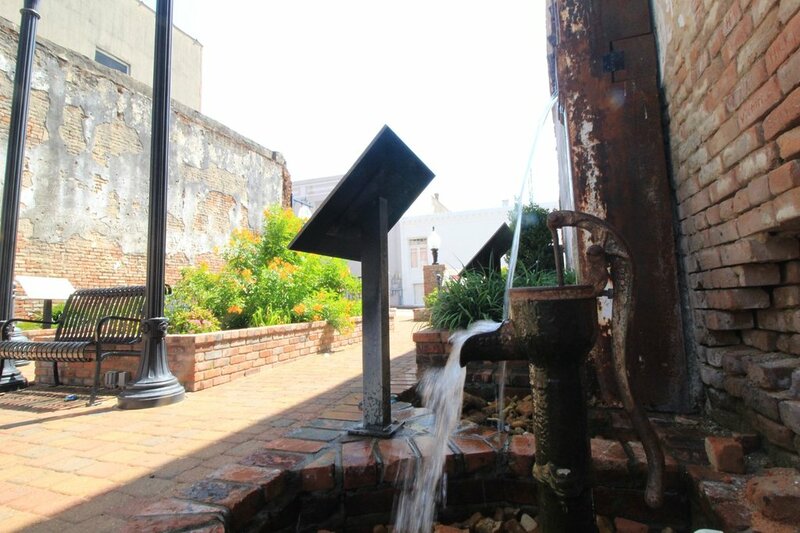 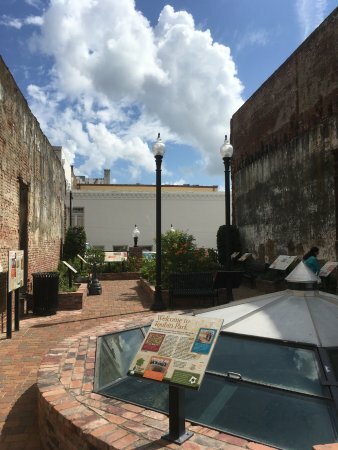 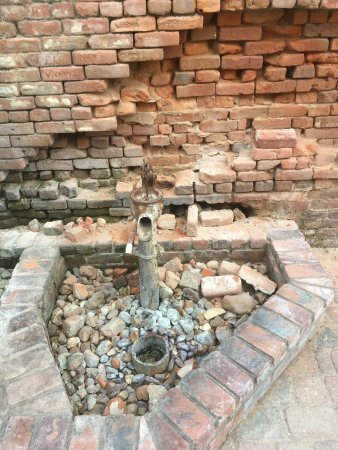 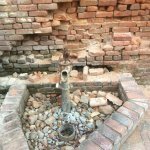 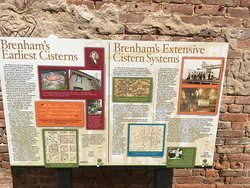 Historical park in downtown Brenham featuring underground cisterns. 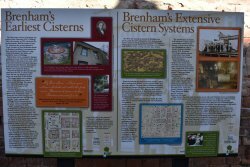 Also pictorial reviews of the burning of Brenham and why the underground cisterns were implemented. 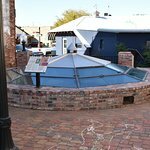 Toubin Park is a tiny pocket park in downtown Brenham that has an old water cistern with several signs to read about the history of water cisterns. 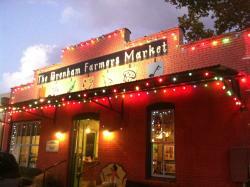 Interesting place and does not take much time to go there. 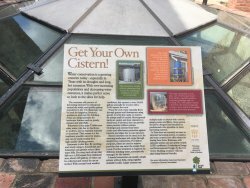 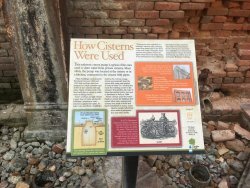 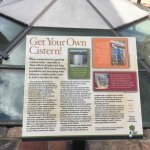 Toubin Park shows the history of tthe cisterns in Brenham. 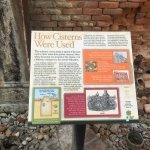 Real interesting to see in person. 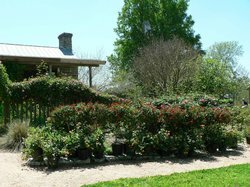 Very very small but very nice - kept up and maintained well. 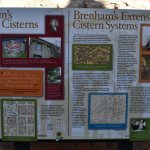 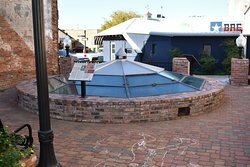 This little park, sandwiched between two buildings, provides a historical overview of Brenham's cistern system. 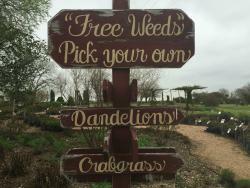 It's well done, but I doubt it would be of interest to young children. 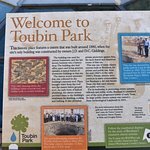 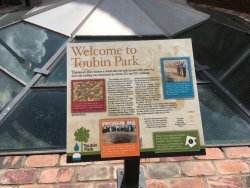 Get quick answers from Toubin Park staff and past visitors.